Here is what I think is a logical, no-nonsense tax policy: Those who benefit most from the government should pay the most. Let’s say I own land on which I plant corn for ethanol. If the government decides to restrict the importation of sugar cane – which if allowed kill my sales– then I am indebted to the government in a big way. I’m a Great Benefiter. I should not be able to get off just by contributing to the political campaigns of the few congressional leaders who pushed my bill through. I should have to pay more for the actual government, since it is working directly for me. I’ve got to pay more salaries, more electric bills, more for everything that keeps it running. The same would be true for Amgen, the largest biotech company in the world. The New York Times recently reported that a few paragraphs in the “fiscal cliff” legislation give Amgen a two-year delay on Medicare price restraints for a drug it makes. This was its second delay, God bless them. Amgen is willing to pay 74 Washington lobbyists to get what it wants, but is it willing to pay more in taxes? I’m glad our 430-ship Navy protects the sea-lanes so I can purchase imported products. That, however, is only an indirect benefit. What about the people and companies who profit from safe shipping? They’re Great Benefiters. Charge them! It begins by recounting her 79th visit overseas, which took her to the Czech Republic. She discussed foreign policy but also found time to ask Prime Minister Petr Necas to choose Westinghouse Electric for a nuclear plant contract worth $10 billion. 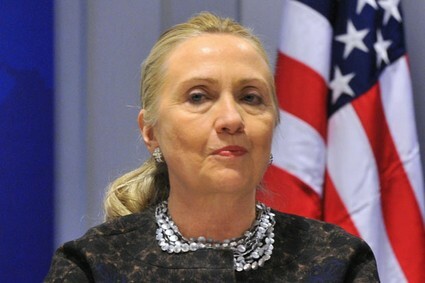 The article says she regularly makes personal pitches to world leaders on behalf of businesses. What is that worth? Whatever it is, it’s a lot more than the $50,000 Westinghouse might later pay Hilary to speak for an hour at a corporate retreat. Westinghouse needs to pay more. So, have I come up with the answer to our budget and debt problems? All we need is some accountant to figure out what is owned, and for Congress to do the right thing and pass legislation that taxes the Great Benefiters. Of course, the Great Benefiters should have the option of not paying in exchange for the not benefiting. In such cases, the government would have to permit, say, an attack on Exxon tankers by Somalian pirates. That is an option the Great Benefiters are unlikely to choose. Hence, we have found a way to balance the budget. See, things aren’t as bad as they seem. Tags: Amgen, Hillary Clinton, policy solution, tax policy, who pays? It could be argued that all experiences are good ones. Philosophically, we could say that if God is good and great then all our burdens are worthwhile and purposeful. We can even learn to like what we hated. Last week in a bar I told a story of one of the worse nights of my life. I told the story with verve, delight and nostalgia. I got laughs. I was glad to tell it; glad it happened; glad to learn from it. For the first time I realized I was glad to have this piece of film on my reel. It is too personal to tell here, so I won’t. Its importance is not in the sharing but in reminding me that the misery of each moment carries within it a miraculous value. It was more than the bar story that forced this revelation. There was also a news story about China. 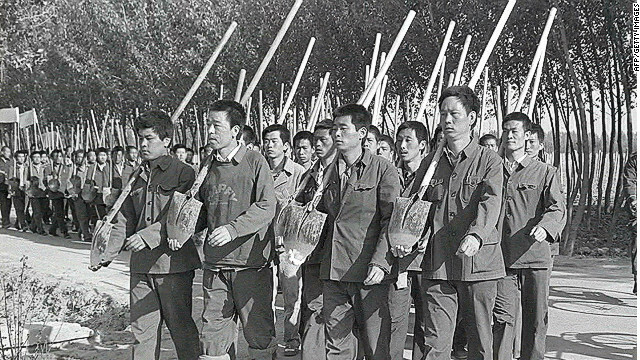 The report said China might dismantle its system of labor camps. I have no idea what a modern Chinese labor camp is like, but I’m familiar with the tradition of locking up political prisoners and trying to “re-educate” them. I’ve known many people who were victimized by this system during the Cultural Revolution of the 1970s. Some were driven to suicide or to the brink of it. During this period, all schools were shut and an entire generation of young people was sent to the countryside to labor on farms. Some were considered “red,” or part of the revolution. Others were labeled “black,” or counter-revolutionary. For them it was harsher. They were watched closely and always under suspicion. While all worked together, the “blacks” were more like prisoners and the “reds” more like guards. From a first-hand witness I heard a story of a young woman – a “black” – who was laboring in mud. To keep the dampness out of her cloth shoes she put in newspapers. When everyone returned to their rundown barracks, a “red” youth noticed the newspaper inside this woman’s shoe contained a picture of Mao Zedong. For that show of disrespect she was beaten. But like myself in the bar story, this was a time of youth. The times contained moments of ultimate value. Lasting friendships (even between blacks and reds) were forged. These “sent-down” youth, in some respects were very free. They grew up and learned about themselves and others. There is joy in that. What they went through is far, far, far from my so-called worse night. Yet they have reacted as I did. Their moments carried something and will occupy a peaceful part of their memories. I don’t claim to truly understand this, and the exceptions must be legion. Even so, there clearly is something to this idea that all experience is good. And so my new goal is not to wait 30 years for warm nostalgia but to live fully and happily in the present. To accomplish that in even a small measure would be exquisite. 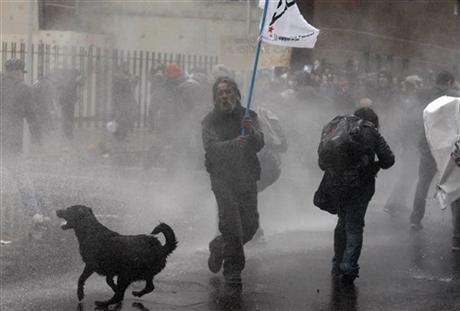 There are millions of free-roaming dogs in the South American nation of Chile, and many have allied themselves with protesting students who tangle daily with police. The dogs march when the students march; attack when the students attack. They take blasts from police water hoses (which they seem to like), growl angrily at police and sometime bite them. When police sirens sound, the dogs run to greet them. For the last 18 months or so, students have been protesting the state of the school system. According to the Associated Press, the protesters claim public schools provide a poor education, private universities are too expensive and the interest on education loans is too high. A few of the dogs have been turned into Internet celebrities. One is Blacky, who has 7,000 “likes” on Facebook.